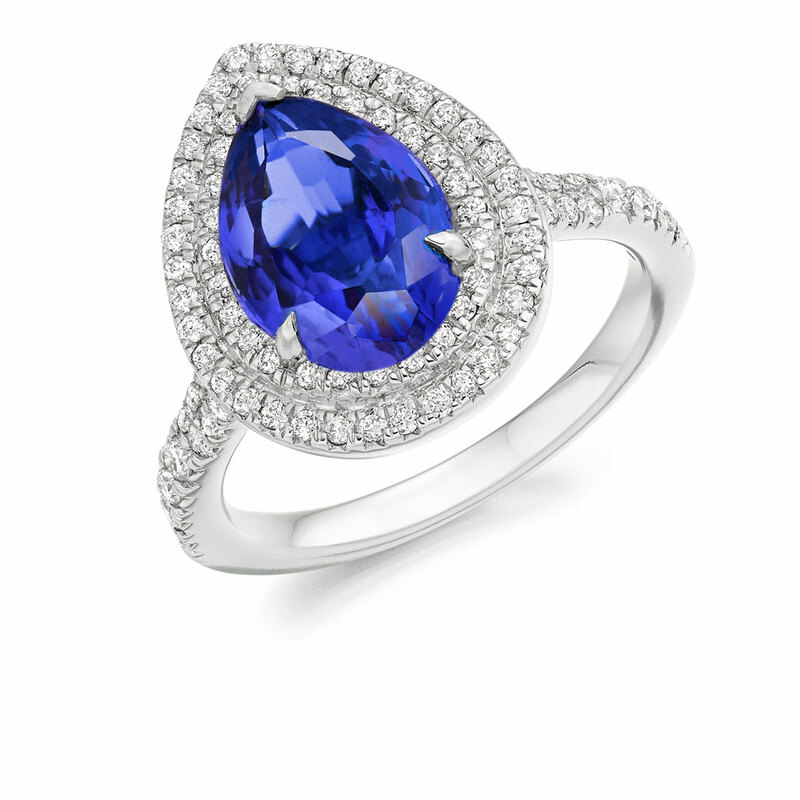 Pearfectly formed this striking engagement ring features a beguiling Tanzanite at it’s heart. Named in honour of it’s Country of origin; Tanzania, this rare gemstone is a blue-violet variety of the mineral zoisite. Surrounded by a double row of diamonds, this pear-shaped Tanzanite takes centre stage and is sure to attract all the right attention. Offering a discreet and personalised service, Voltaire Diamonds aim to make the experience of choosing your engagement ring as special as your own love story. We are based in beautiful and relaxing offices in Dublin 2. Make an appointment today to visit us and start the journey to your dream ring.